Cloud PBX from babyTel is a complete VOIP PBX Solution that leverages your internet connection to give you Enterprise-class telecommunications at a fraction of what you currently pay just for telephone lines. 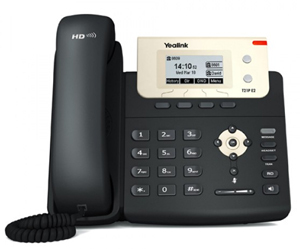 New to VOIP? Check out out our VOIP FAQ. No Contract. No Minimum Term. Schedule-based call routing, Conference Calling, Call Transfer, Call Forwarding, etc. Automatic call redirection to a cell or other backup phone if your internet connection fails. Online system management tools; add/drop/change extensions and users with ease. Free RoamBaby smartphone app allows you to make or take calls on your extension from anywhere in the world. All-In Plans with Unlimited North America Calling start at $27 per month per extension. Switch to Cloud PBX and Get Your IP Phones Free! For a limited time, when you sign up for Cloud PBX from babyTel, you'll receive a free basic IP telephone for each all-in extension. Additionally with 5 or more extensions, you can get a Receptionist's phone with the additional features typically needed for for managing calls in a multiple extension office. Contact us to reserve your free phones and find out more. Contact us today for a free evaluation and service quote.